I am very much a feelings person. I trust my intuition and know in an instant whether something is right for me or not. I only tried on one wedding dress, as the first I put on I knew immediately that was the one. My two successful property purchases, I knew as soon as I walked in the door that these were the properties we needed to buy. As soon as I walked into the Sydney Harbour YHA in the Rocks District on Saturday, I immediately had the feeling that I was at the right place. A fresh and inviting atmosphere filled the air. 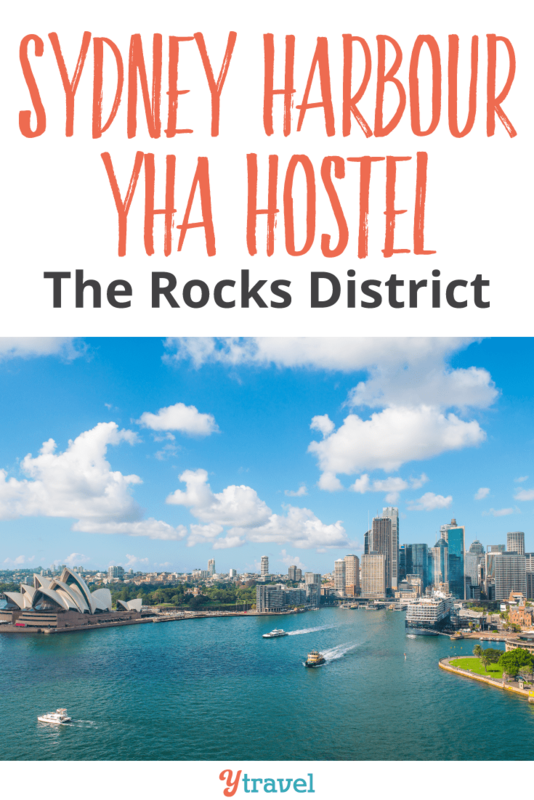 My initial feeling did not disappoint me; I loved our very short stay at the YHA Sydney Harbour. It is a place that offers more than just a bed for the night. 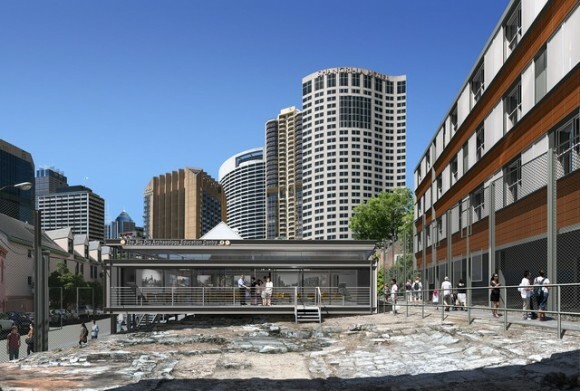 Sydney Harbour YHA is built over the remnants of an archeological dig of white Australia’s first settlement and lies only 500m from where the First Fleet landed to start the colony. The remains of some of Sydney’s oldest buildings can be gazed upon as you walk throughout the building. I couldn’t help but stare and imagine what life must have been like back then, which is often why I travel – to get an insight into the lives of those, not just around me, but who have been before me so I can better understand the importance and value of my life as it stands now. Throughout the building information plaques explain what can be seen amongst the archeological site, what was found there, and the stories that lie behind those who once lived there. We were lucky enough to be given a tour of the property by the manager, Ross Lardner, and learned fascinating information, not just about the dig site, but about the designs of the building that were so carefully planned to fit in with the historic site and highlight the amazing features of it. 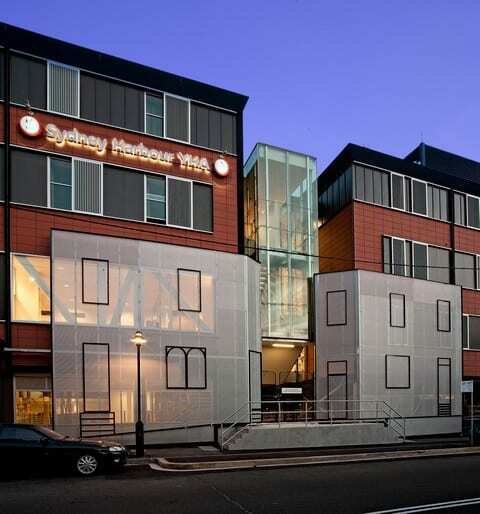 The Sydney Harbour YHA is the perfect blend of modern architecture, and ancient (in white Australia terms) history. I absolutely loved the uniqueness and vision of the hostel. Before arriving at the Hostel, all I heard were reports of the magnificent Sydney Harbour views that could be had from the rooftop of the YHA. I didn’t even know anything about the historical value that came with the site. This just added way more enjoyment to the experience of staying here. Nothing can beat the views that you can get from the rooftop at the hostel. You can see clearly out to the Harbour, taking in Australia’s two most well known icons; The Harbour Bridge and the Opera House. There is no better place for you to sit with a beer of an afternoon than here. Putting the views aside, you have the location of the Sydney Harbour only a few minutes walk away as well as close proximity to trains, ferries, tours and attractions. 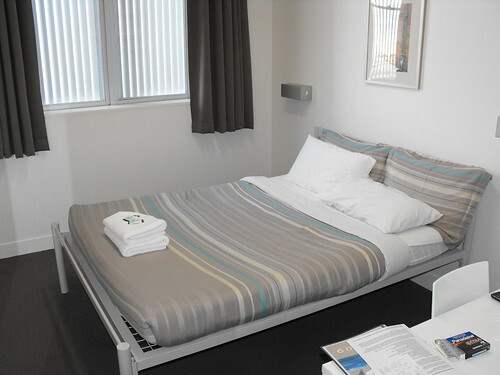 There are no other budget accommodation choices in the Rocks area. The hostel is set amongst the cobble stoned alleyways, heritage buildings and quiet laneways of this historic area; Australia’s first white settlement. 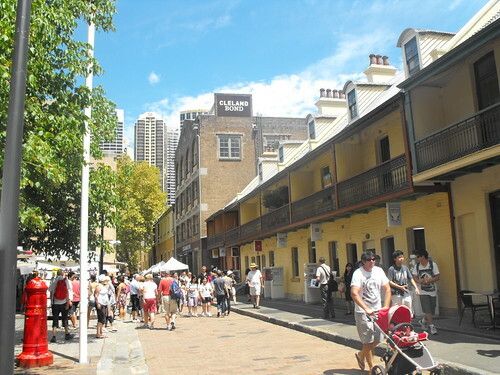 The Rocks is my favourite area of Sydney, and is the place I would recommend all travellers and tourists to spend time exploring. Staying at the YHA Sydney Harbour makes that so much easier, especially when the night time fun begins. 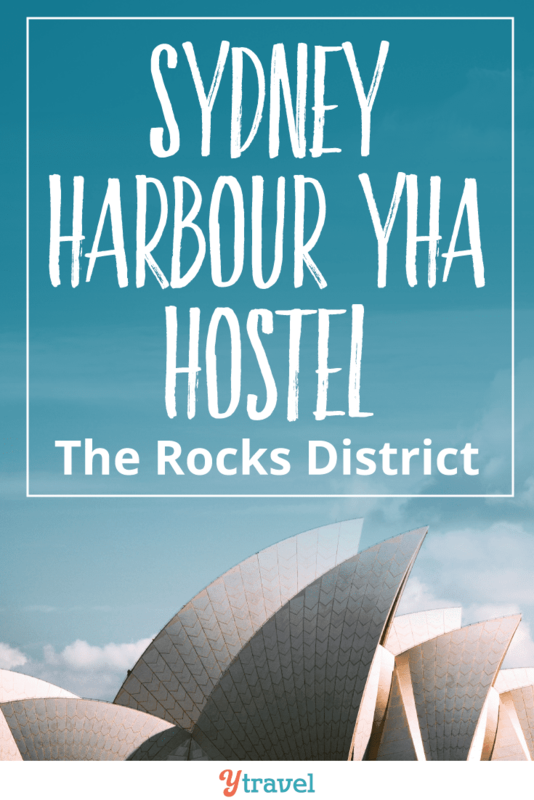 The Sydney Harbour Rocks YHA opened in November 2009. We have spent many of our travels in run down beat up hostels, with plenty of cockroaches running around and the threat of toe jam in every shared shower cubicle. It was so refreshing to stay at the modern YHA hostel, where everything is new and clean. 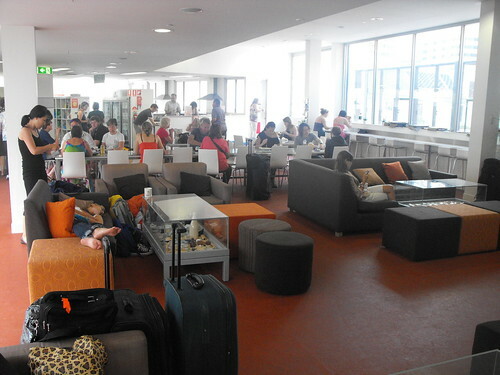 One thing that was really noticeable was the wide variety of travelers staying at the hostel. It was not just backpackers, but digital nomads, families, and elderly tourists. It really caters to all tastes. 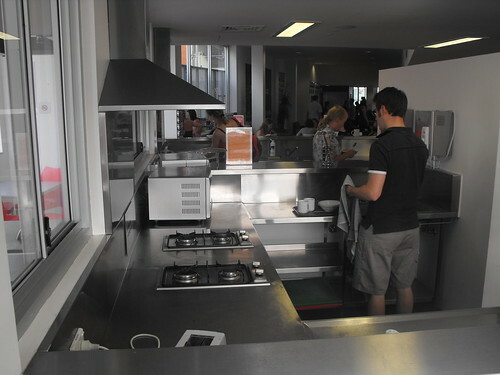 The kitchen is large and spacious and had an alleluia ring out from me when I saw that it was stainless steel. 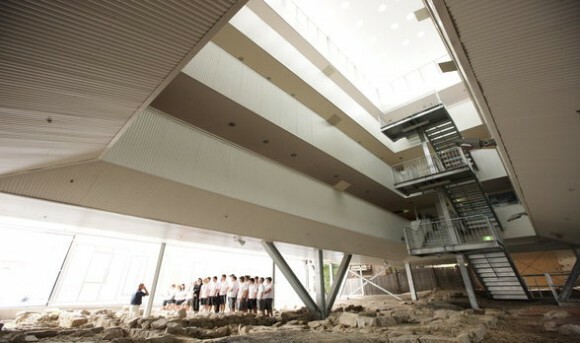 There are large common rooms both in the main foyer, and upstairs there is a TV room coming off the roof top. Each of these are tastefully decorated, filled with plenty of comfy couches, and have glass covered coffee tables filled with artifacts that have been dug out from the historical site that sits below the building. Very cool! Being so modern means that the YHA is the first purpose built environmentally sustainable YHA in a central city location. You immediately sense this when you walk in and are hit with so much natural light and space from the design of the building. Some of the environmentally friendly features of the building are key card activated lighting and air conditioning for rooms, sliding external shutters fro bedroom windows, solar hot water, and rain water tanks. 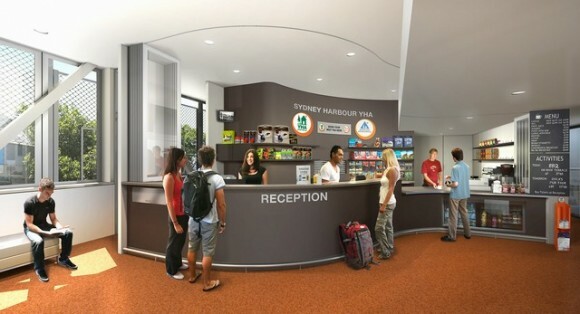 Sydney Harbour YHA offers many inexpensive tours and meal deals. Twice a week they have a rooftop barbie for only $5 and Sunday hangover bacon and egg brekkies for $5 also. Once a week they run a free archeological tour of the site, which is definitely one to get yourself on. They have upcoming digs coming up that you can volunteer for in the hopes of uncovering something under the dirt. They also offer some discounts off tours in the local Sydney area. The best deal of all would have to be the New Years Party that is held on the rooftop. In other venues with similar views, prices could be up to around $1000 just for your entry. 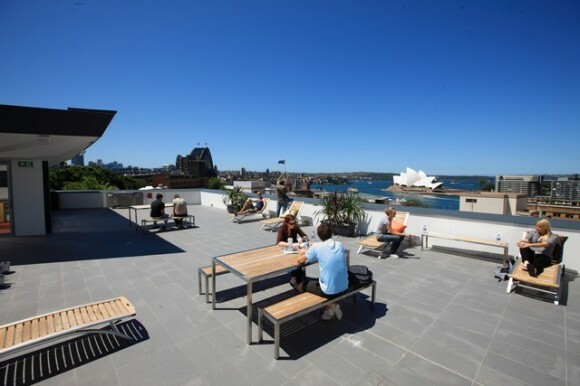 Sydney Harbour YHA charge $150 for the roof top party, including drinks and food. It is the best seat in the house for those spectacular fireworks on New Years Eve over Sydney Harbour. But, understandably there is a catch. You have to be ready to book 9 months in advance when they sell out really quickly, and you have to have a 5 night minimum stay at the hostel over the New Year break. Plan it well and you could have the best Sydney New Years experience ever. Designed for the modern day traveler, you will find the spacious and clean rooms have all the amenities you need. In the dorms, each person gets their own locker, and two personal electrical charging station. Each dorm room has its own bathroom, which I found to be a great feature. Toilet, bathroom and sink are all separate so no one has to get stuck. Beds are made up for your arrival and are arranged so that you still have privacy and personal space. Private rooms come in double, twin or family size. They also come with complimentary towels, coffee, water and the biggest chocolate bars I’ve ever seen! Now that we are a little older and have kids, we have evolved a little from dorm rooms. We love the communal feel of hostels and the budget accommodation prices but do enjoy a little comfort and privacy. These rooms were the perfect fit for our new travelling style. I would even recommend my parents stay here. The prices of the Sydney Harbour YHA are a little more expensive than other hostels in the Sydney area. But, for the location of the hostel, uniqueness and amenities you cannot beat the price! Our private double room, with views of the Opera, was only $165 a night. Those staying at the Hyatt down the road would be paying quadruple for the same views. 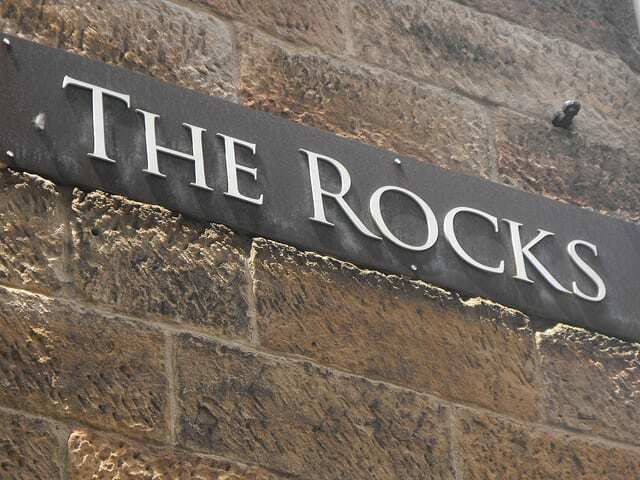 You would not find any hotel room in The Rocks area that ran anywhere near that price. For those of you who are happy to be sharing dorm rooms than your prices will run from $39 to $48. And of course YHA members receive a 10% discount. Sydney Harbour YHA will be the only hostel I stay in now when I visit Sydney. It has everything. 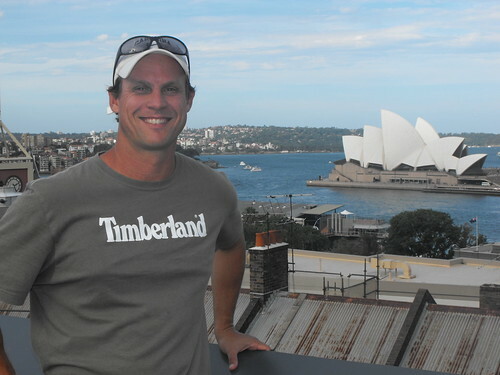 And I highly recommend it to anyone – not just backpackers – traveling to Sydney as a place to stay. 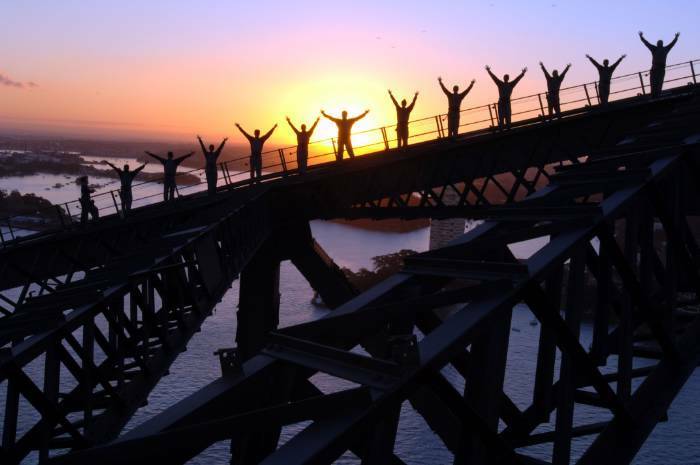 Would you do the Sydney Harbour Bridge Climb? This sounds like the neatest hostel (and I agree – those views are stellar). When we visit Sydney we’ll have to keep this place in mind! This looks like an incredible hostel And of course we love that it’s sustainable 🙂 Thanks for sharing. Sounds pretty fabulous! I’ve been hearing a lot about this YHA lately from bloggers, maybe I’ll get a chance to stay there sometime! What a great place to stay!!! I have heard The Rocks area is super trendy and cool. Thanks for the information about this nice place to stay. It is super trendy and cool. It was once considered the slums area and was earmarked for demolition until the Greenies stepped in and saved it. Thank goodness for that! This hostel looks amazing! Thank you for the photos, it really helps to see candid photos, not from the website. I’ll definitely check this place out next time I’m in Sydney! No worries. I think you can say that it is a one of a kind place. I love the history of the Rocks area, so it really helps to bring it alive. Sometimes staying with friends has its downsides. At least you know you can always come back and check it out another time. Oooh, this looks great. Family rooms and everything. I want to go back to Sydney now. Haven’t been in years. We loved the family rooms too. They have more private and family rooms than dorms which is great. And the family rooms have TV’s in them to help keep you entertained when the kids are asleep or if you need a lie in and they can watch the cartoons.. When in Sydney we first stayed in a hostel that was near St Mary’s Cathedral…nothing too spectacular and the dorm rooms were too small. Wish I had known of this place! It was so clean and nice and I made great friends there, not only did you have lockers and power sources for each bed but the power sources were also located inside the locker! So you could charge your valuables while they were locked up, brilliant idea! I stayed here last October 2010, I found the staff very friendly and the hostel clean and bright. I would definitely recommend it to friends traveling Down under. The location is great and easy access to the Harbour. hey there! so is it much better than the central YHA? i would want to visit Sydney but am torn to either places. 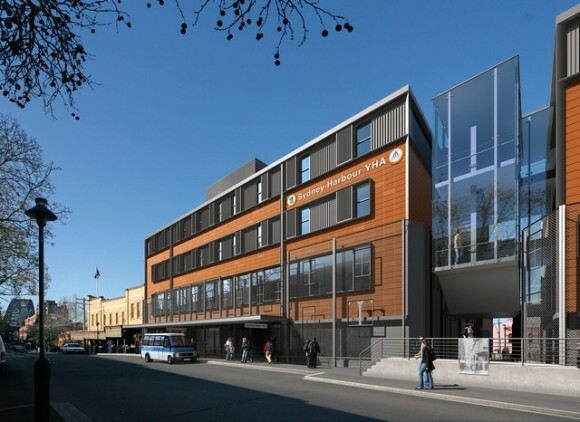 how do you catch the train from the sydney harbour as compared to what you said about the YHA central being in front of the train station? thank you for your insights, keep them coming! There’s a train station at Circular Quay which takes you to Central Station, which is where Central YHA is. It’s about a 5 min trip, or to walk will take you about 40 minutes. 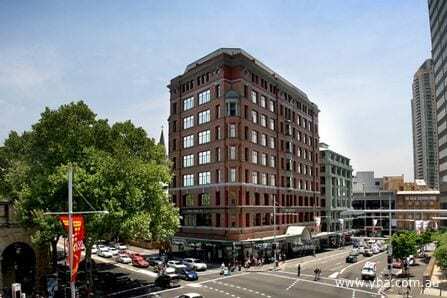 I think the YHA at the Rocks is better because of its location and price. It’s right near Sydney Harbour, it’s modern and has awesome facilities. The roof top gives you a beautiful view of the harbour. You would pay through the roof at any of the hotels surrounding it. But, it is a little more expensive than the Central YHA so if budget is a problem than the Central YHA is also a good choice. Awesome Laura! You will love it. Just make sure you get use out of that roof top. Breakfast and dinners up there are a must! Would you be able to accommodate me for a lesser monthly price for the months of February and March 2016 ? Hi, we are a Family of 6 (4 Young adult children) from Calgary Alberta Canada looking for a family room or dorm room that will sleep the 6 of us from Dec 28- Jan 2nd. We arrive in Sydney on the 28th. Could you let me know if you have any cancelations for that time? Hi I would like to know if you have transportation available to and from the airport? I’m planning a trip to Sydney and would like to stay at your facility, is there also an age limit for who can stay? I’m not a teen I’m in my 50’s. Thanks for any info I’m just looking for a good place close in the city to walk to the bridge , opera house, the rocks etc. We’re not the owners of the hostel so you’d have to contact them directly about transportation. You could get the train into Circular Quay from the airport and then walk to the hostel. Or, alternatively, you can get an Uber. IT’s the perfect spot to walk to all those places and I doubt there is an age limit.